Cryptototem ICO's and Сryptocurrency How-To Invest in ICO? Let’s talk about why you should invest in an ICO. But first, what is an ICO? Well, of course it’s an Initial Coin Offering. You all know the acronym. But what is it really? Basically, it’s a crowdfunding campaign for a Blockchain-based project. It’s very important: it’s not adapted to all projects, it’s really specific to Blockchain projects, and it involves the creation of a new token or a new cryptocurrency. A pool of that cryptocurrency is sold to the public for a limited period of time in exchange for other cryptocurrencies or for fiat currencies. Of course, the funds that are raised this way can be used to fund the actual development of the project, so it’s really a pre-sale. It’s important to notice that the first ICO happened in 2013, but already in 2017 we’ve already seen more than four billion dollars raised with ICOs. Obviously, it’s growing very fast. The reason for that is that it’s very easy to set up such an ICO. It doesn’t require any legal or regulatory approval or validation. Even on the investor side, you don’t need to have a special investor status. You can even participate with very low amounts because buying those tokens can be done in very small amounts. Because of that they’re very risky and the first temptation can be “OK, let’s forbid ICOs”, which some countries have already said they would do, “Or at the very least let’s regulate them”, which is a complete conceptual nonsense, especially for open Blockchains. The reason for that is that those Blockchains are anonymous, they’re international and they’re distributed which makes them pretty much impossible to regulate. The ICO concept is not bad enough itself: some very valuable projects have already been funded thanks to ICOs, including Ethereum itself, which is another Blockchain that you might already know. Our approach is that the best way to protect investors is definitely not to regulate, but it’s more to educate, to help investors make better informed decisions about whether projects are worth investing in or not. This is exactly what we do at ChainSkills, by the way. Let’s talk about six things that you should watch out for when evaluating an opportunity to invest in an ICO. The White paper is supposed to be a rigorous and very formal description of the business model, the team and the roadmap of a project. More importantly, it should also describe very rigorously the rationale behind the creation of a new cryptocurrency or a new token to be sold to investors. Especially, it should specify whether this token is supposed to be sold and traded on exchanges at some point, whether users, investors will be able to use, to pay for the service on the long run using that token, whether they will have some voting power, some voting rights in the future of the project, and, of course, whether it creates an incentive mechanisms for participants in the service to behave a certain way. More importantly, it should also describe the team of the project, and that is actually the second aspect that you should really be careful about. Are those founders clearly-known and well-identified? Has their identity been cross-checked with long-running social profiles that would make it sure that they cannot run away with the money which has happened in the past. In addition, you should watch out for the experience of the team and whether there is at least one Blockchain development expert on the team because it’s very complex technology. Another thing that is very important is also the advisory board. In particular, are there any well-known experts in the industry that the project is intending to disrupt? Are there more traditional investors like VCs, for example, who might have already done their due diligence? If a project is just a Whitepaper, run away. It’s a risk. There should be a working prototype somewhere possibly with some source code, which is open source and publicly accessible and that anybody can review. Once you can see the code, of course, you need to evaluate whether the code is well-written, whether it’s not been sucked out of somewhere else or it’s really from the team of the project. Of course, you should also evaluate whether the code has been reviewed by an independent security auditor, especially for the code that’s supposed to manage the ICO. This is particularly critical. Now, all these ideas are generally announced on community websites like BitcoinTalk or Reddit, which is a big place where you can find more information about those projects. It’s very important to spend some time on those communities to look at the conversations about the project. Especially look at what people are saying about the project, but also the response from the founders themselves. How do they respond to criticism? Do they have some very good answers and, more importantly, what are their real motivations? Usually, that’s the kind of information that you can find in these kinds of discussions. In addition, you should watch out for paid content, sponsored blog posts that might be produced by biased persons who have been incentivized to produce favorable content for the project. Those projects don’t happen in a vacuum. It’s better if they know clearly what their competitors are, the industry that they want to disrupt and, more importantly, are there other projects that might have already been funded or failed in the past with a similar value proposition. If so, why? Why did they decide to create their own project instead of collaborating with other people? All of that should be taken into consideration. Another thing that could be very interesting is to see if there are other projects that are connected and that could collaborate with them to strengthen it in the long run. That’s probably the most important aspect. You should really look for all the details regarding the sale of the token, the timeline, the early bird bonuses. Is there a cap, and will it be announced? If yes, when? All those aspects are really important. Another thing that you should really consider here is: Does this new token actually make sense in a decentralized context or is it just an opportunistic way to raise some money when it’s easy to find? These are just some of the elements that you should really watch out for when evaluating an opportunity in ICO. This is a very new technology and it’s a very risky one, very boiling one. As with any risky investment, as with gambling, you should be very careful not to invest money that you are not prepared to lose. 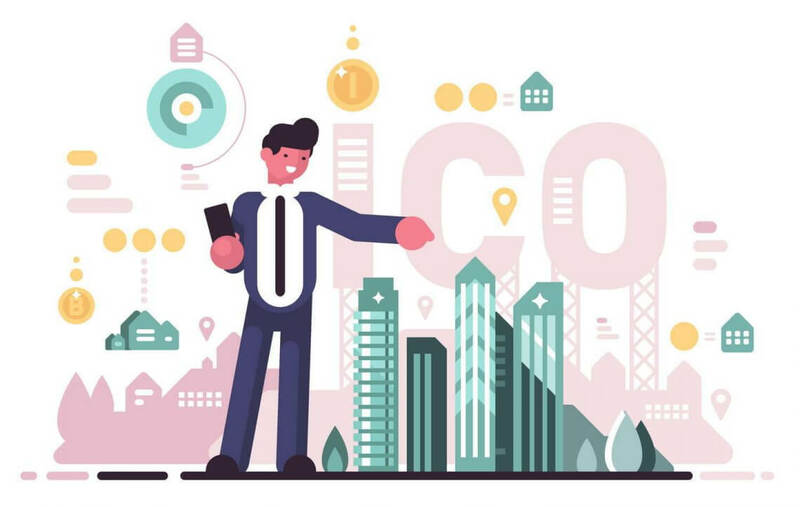 In any case, don’t forget that when you invest in an ICO, you are actually participating in the funding of R&D projects that are completely decentralizing the rules that we are used to and changing the way we govern our organizations and we organize ourselves. Even if your investment doesn’t go through, it still goes towards funding a very big ecosystem that is going to change a lot of things. Just a word of warning: If you are a developer, don’t waste too much time and energy on those things, on those ICOs, because the community needs you, the ecosystem needs you and can actually pay you to work on improving the reliability and the security of the technology on the long run. In any case, don’t expect the protection of a jurisdiction, regulation, a tribunal or whatever to protect your investment. You’re on your own. The decision to invest or not in an ICO is your own responsibility. More importantly, it’s a long-term game and the best way to play it right is to understand it. Thank you!